Home/school communication is a key component of successful early childhood experience. Our chosen method of communicating with parents is via tadpoles. 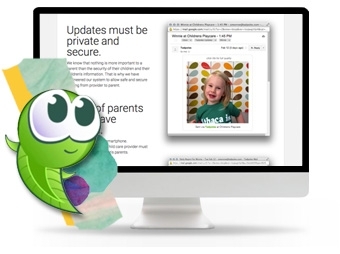 This app allows the parent to receive daily updates of their child’s day in school. Diaper changing, meals eaten, a summary of what the child has done along with photos of their child throughout the day give parents an up close view of their child's time at Gan Gani.